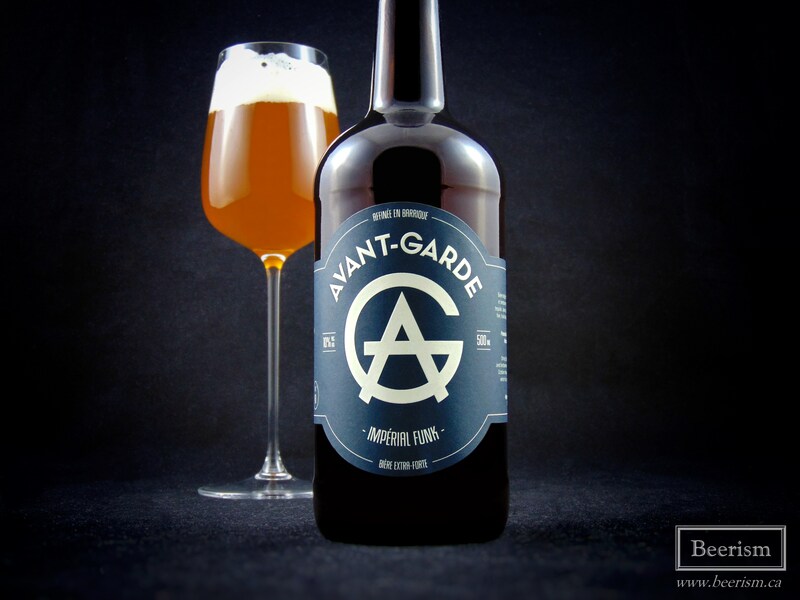 Avant-Garde Artisans Brasseurs will be celebrating their first anniversary this coming weekend. To commemorate the occasion, they are throwing a bottle release party at the Oshlag Brasserie & Distillerie, where all theirs beers are made. To be honest, until today, I don’t think I’ve actually had anything from Avant-Garde. I was by no means avoiding them, but with the abundance of offerings available, I haven’t had the chance. The three beers I’ll be talking about today have all spent time in different barrels before being bottled. They will only be available for purchase this weekend at the bottle release. I know these two guys are pretty damn excited to share them with you, and I’m honored to give them a try ahead of time so that I can give you my thoughts. However, before that, I wanted to get with these fine gentlemen to find out more about their operation, and especially their barrel program. 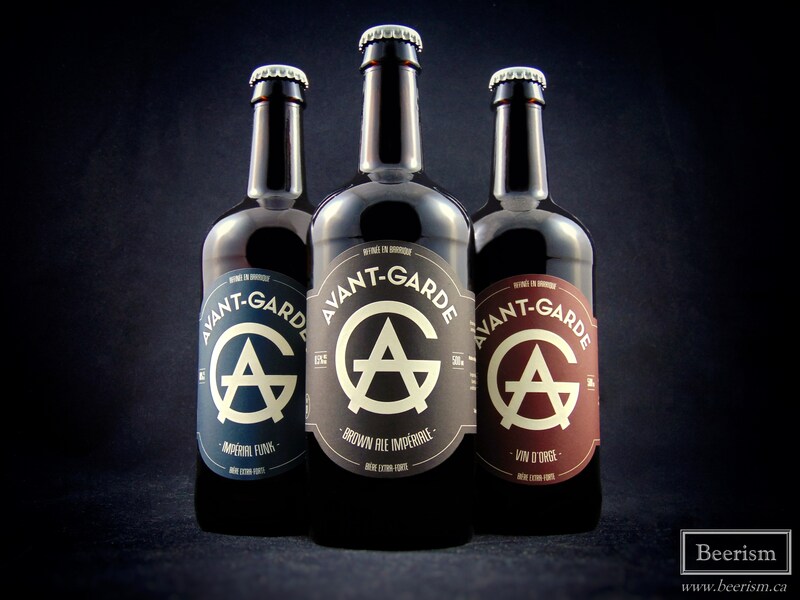 Avant-Garde is not a brewery, but rather a “contract” brewing company. For those unfamiliar with this type of company, can you fill us in. Over the course of the last year, you guys have put out quite large number of offerings. What made you go the route of barrel aging, and are you happy with the results? 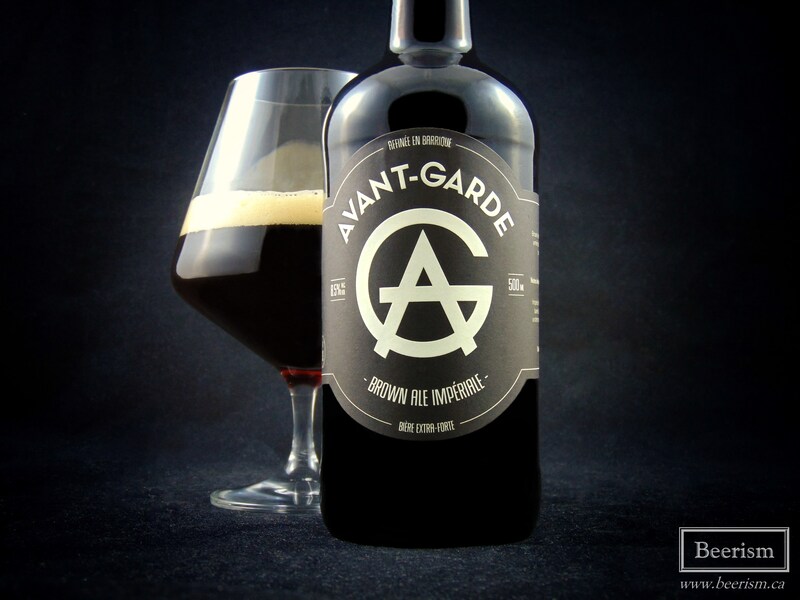 Now that you’ve covered a range of beer styles and are working with barrels, what’s next for Avant-Garde? 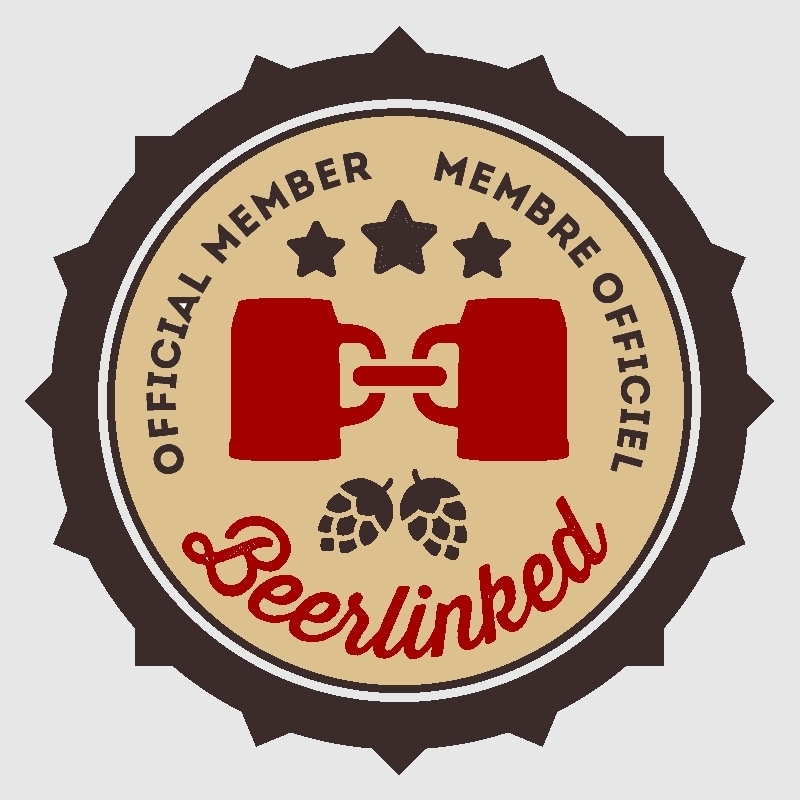 “More beer styles and more barrels! Seriously though, we are looking to expand our barrel aging facility to be able to offer a steady flow of products both clean and funky, as well as well as brew whatever we feel like brewing on a seasonal basis. The main take-away for us in the past year is that our consumer base is thirsty for all types of beer and eager to try new products. It is a lot of work constantly developing and tweaking new recipes, but it is also fun and challenging and allows us to be creative and play around with ideas and concepts in a less compromising way. We will also be blending fresh and barrel aged beers as of this summer, which should be interesting. Well, reading this certainly has me that much more interested to dive into these three beers. Let’s do it! First on the list is Octobre en Avril, a bourbon barrel aged Barleywine – yes please. It pours out a murky brown colour with lots of copper highlights. The nose wafts big fruity notes, carrying strawberry and cherry at the front, followed by dried figs and dates. The bourbon is massive, with loads of vanilla and oak, alongside sweet banana bread and toasted almonds. Like the nose, the bourbon is big on the palate. Vanilla is in your face, with plenty of spicy oak as well. Plum pudding and caramel mix with red fruits and lots of dried figs, creating an essence of sweetness without the actual sugars. It’s a bit more one dimensional than the nose let on, but still solid. Even though this is 9.5%, it seems boozier than it should be, carrying a slight ethenol focused astringency. The finish is long and echoes the rich flavours, carrying a sharp tannic dryness and big Bourbon soaked oak. Overall I liked this a lot, even with the dominating alcohol presence. Age will help it, though. Next up is Impérial Funk, a Belgian strong ale, re-fermented with brettanomyces and aged in tequila barrels. Well then! It pours out a bright orange colour with some copper highlights. The nose throws up huge earthy aromatics, alongside some dusty barnyard funk. General tropical fruits come through, with mango, ground cherries, and light citrus, creating an inviting tangy aroma. There is a dank oak character as well coupled with an icewine-like stone-fruit sweetness. Up front, the palate is surprisingly dry. As the nose foretold, there are lots of musty and dank yeast elements mixed in with fruity hops and bretty esters. Mango, passion fruit, and clementines make up the fruit bill. It’s Extremely earthy, with a dry, slightly astringent finish. There is a lot of lingering earthy tequila in the finish, while the body is rich, yet still dry and accessible. Overall I find this beer enjoyable and rather unique. The tequila is very subtle, lending musty and earthy layers, which compliment the dusty brett phenolics quite nicely. Although extremely dry and slightly astringent, with a perceivable alcohol presence, it doesn’t come off too boozy (although some people will probably find it too sharp). Instead, the alcohol works with the beer and not against it, creating a dry icewine-like thing mixed with a margarita. I think that a Meyer lemon or lime addition would be very interesting as a variant. Lastly we have Dr. Brown, an imperial brown ale aged in Rye Whiskey barrels. This beer is an amped up version of their standard brown ale, entitle Mr. Brown. It Pours out a very dark brown colour, with a light tan head resting on top. The nose actually smells quite a lot like the barleywine, but carries a bit more roundness. The rye barrel is there, lending rich whiskey notes, alongside some spicy oak (but it’s pretty subtle). There are lots of dried fruits, like raisins and dates, as well as cooked caramel, banana chips, and bread pudding. This is a very inviting nose. Up front on the palate, it is quite dry, with a lingering sharp ethanol astringency; just like the barleywine. As the nose foretold, there are lots flavours of caramel, raisin, and dates, but with a little cherry as well. The body and carbonation are really on point, carrying a creamy mouthfeel and nice lingering ring of froth. The rye whiskey certainly comes through here, with some light vanilla and leather notes. As well, it further cuts through any sweetness, leaving a sharp, almost tannic linger on your palate after each sip. I like the flavour profile, the mouthfeel, and I quite like the dryness of this beer, however it comes off a bit too boozy, with a sharpness that slightly overpowers. I would still recommend grabbing it, because it’s good, but approach with caution as it is quite sharp. Well that’s it! I’m pretty happy to see that these guys had a successful year and that they are able to celebrate with a bottle release to showcase their barrel-aged beers. If you would like to get your hands on these bottles, the details on the event are right here. The days of me loving sweet and cloying offerings are generally behind me, with my palate having moved towards higher attenuated examples. That being said, it’s all about balance. I can still very much enjoy a “sweet” beer, but there needs to be other factors (bitterness, tannins, etc.) that keep everything in check. It’s a delicate thing. 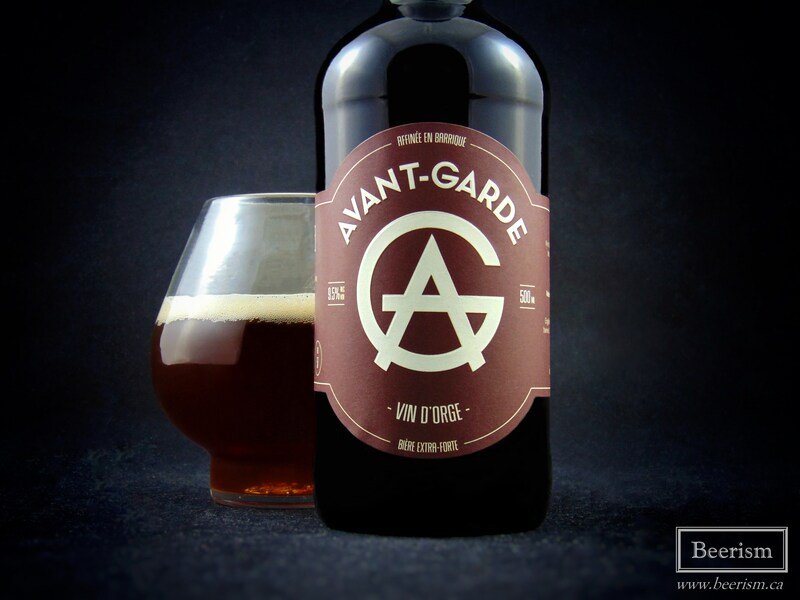 As much as I really did enjoy these beers from Avant-Garde, I did find them a bit sharp and quite “boozy” overall. I think having some residual sugars might have helped round them out a little more (but that’s just my opinion). As I said before, I think a little more time will also help them grow. 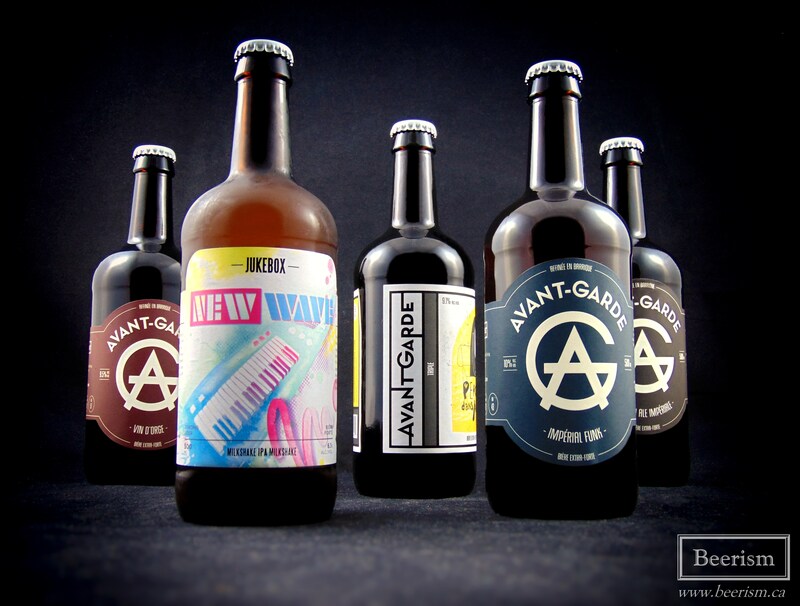 That being said, overall, I think that Avant-Garde has something interesting and somewhat original happening with these beers. They were dry, sharp, and boozy, which played really interestingly against the rich and bolder base. Go check them out!